AYPO Tech is the one-stop location for continuing education courses for water operators in Kentucky. The courses presented here cover both the water treatment and water distribution side of water operation and include such topics as membrane processes, coagulation, valves, and groundwater wells. At Your Pace Online's CE courses are approved by the State to provide continuing education hours to water operators who need to renew their license. What are the CE requirements for Kentucky water operators? 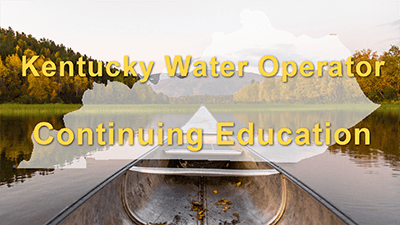 To renew a Kentucky drinking water treatment, bottled water, or a water distribution operator's certificate you must complete the required amount of continuing education hours during the 2 years before your current certificate expires. Operators holding separate certificates for treatment, distribution and bottled water shall complete the training hours required to renew only for the highest class of certification held instead of completing the CE requirements for all the held certificates combined. Save on our 24 Hour CE Package. It includes: Surface Water Treatment, Source Water Issues and Pretreatment, Disinfection, Membrane Processes, Water Distribution System Operation Overview, Pipelines, Storage Tank Facilities, Groundwater Wells, Distribution System Water Quality Issues. Save on our 12 Hour CE Package. Includes: Disinfection (2.5hr), Corrosion Control (2.75hr), Adv. Oxidation & UV Disinfection (2hr), Membrane Processes (2hr), Surface Water Treatment Plant Operations (2.75hr). This course will fulfill 2.75 of your required hours for Kentucky water operators. Your training extension request has been received by the Division of Compliance Assistance, Certification and Licensing Branch. Course approvals are reviewed and approved based on core content outlined by the cabinet and the Kentucky Board of Certification of Wastewater System Operators and the Kentucky Board of Certification of Drinking Water Treatment and Distribution System Operators. The core content lists can be located on our website. Your extension request was reviewed by the Kentucky Board of Certification of Wastewater System Operators and/or the Kentucky Board of Certification of Water Treatment and Distribution System Operators at their most recent board business meeting. This letter serves as notification of the board and/or cabinet determination for extension of the course(s) for continuing education credit. Education Activity Report form. This form can be located on the program’s website. The program will no longer accept rosters that are not submitted on the cabinet’s Continuing Education Activity Report form or electronically through the cabinet’s website. If a continuing education activity report was attached to the training approval request, please be aware that the operators will only receive credit for the number of hours approved by the board(s). Your training request has been received by the Division of Compliance Assistance, Certification and Licensing Branch. Course approvals are reviewed and approved based on core content outlined by the cabinet and the Kentucky Board of Certification of Wastewater System Operators and the Kentucky Board of Certification of Drinking Water Treatment and Distribution System Operators. 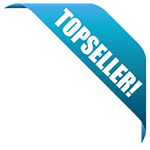 The core content lists can be located on our website. Your request was reviewed by the Kentucky Board of Certification of Wastewater System Operators and/or the Kentucky Board of Certification of Water Treatment and Distribution System Operators at their most recent board business meeting. This letter serves as notification of the board and/or cabinet determination for continuing education credit.